VPN On An iPhone: What It Is & Best VPN For iPhone Apps & Services! 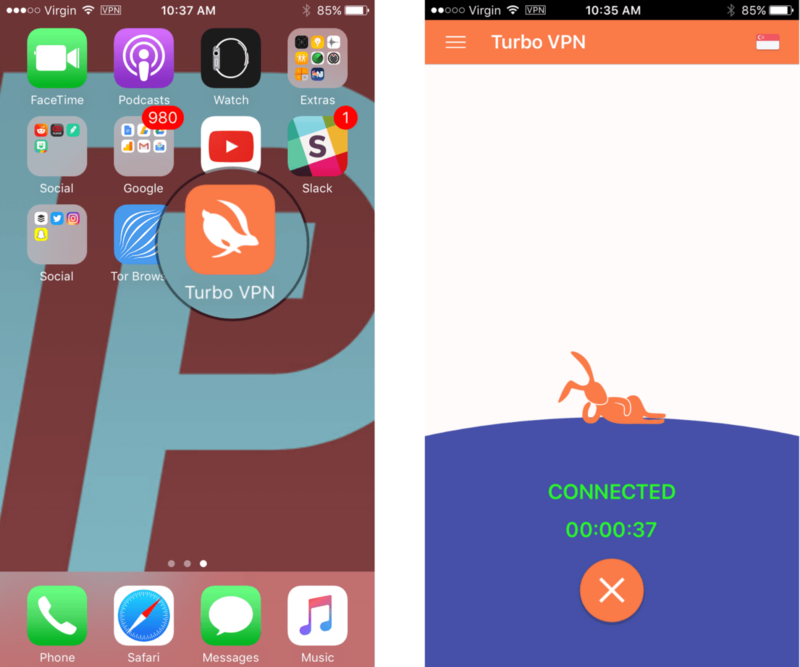 You are at:Home»iPhone»Security»VPN On An iPhone: What It Is & Best VPN For iPhone Apps! VPN On An iPhone: What It Is & Best VPN For iPhone Apps! If you want to keep your personal information safe and secure, using a Virtual Private Network (VPN) for iPhone is an big step in the right direction. VPNs help to keep you anonymous online, prevent both hackers and legitimate companies from spying on you, and the concept is simple once you understand it. In this article, I’ll explain what VPN on an iPhone is, how a VPN can help protect your privacy, and recommend the best VPN services for iPhone that make it easier to keep you safe and secure online. What Is VPN On An iPhone? A VPN (Virtual Private Network) on an iPhone redirects your iPhone’s connection to the internet through a VPN service provider, which makes it appear to the outside world as if everything you do online is coming from the VPN service provider itself, not from your iPhone or your home address. 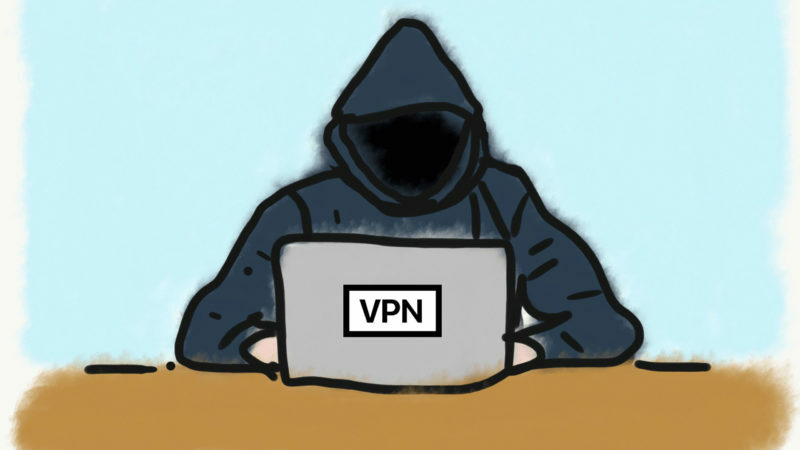 VPN stands for virtual private network, which allows you to securely connect to a computers, printers, and other devices on a remote network, and to reroute your internet connection through that network. Why Do People Use A VPN On iPhone? As internet privacy has become a hot-button issue, people are looking for new ways to protect themselves, their devices, and their personal information from corporations, governments, and even their internet service provider, which recently received the legal go-ahead to sell information about what their customers are doing online. Why Am I Protected By An iPhone VPN? An iPhone VPN keeps you safe because it hides your actual internet address (IP address) from individuals or entities (such as government agencies, hackers, internet service providers) who may be trying to monitor, sell, or steal your information. Virtual private networks make it appear as if everything you’re doing on your iPhone is coming from another location, which helps you stay anonymous while surfing the internet. 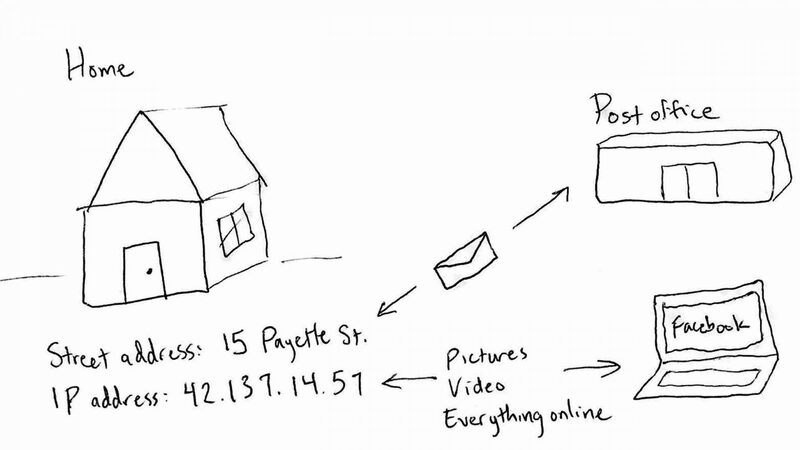 It’s harder for people to know who you are if they can’t trace your IP address back to your house. However, it’s important to know that virtual private networks are far from perfect and that no iPhone VPN can provide you absolute privacy. You need to be able to trust your iPhone VPN provider because they are also capable of spying on you and selling your data. That’s why it’s important to choose a reputable iPhone VPN provider, and we’ll recommend some high-quality services later in this article. How Can Someone Figure Out Who I Am If I Have A VPN On My iPhone? There are a number of different ways that a good hacker can track your internet activity and figure out who you are. This includes web browser extensions, cookies that are saved on your web browser, and login information, all of which are designed to track personal information. Finally, governments have the ability to subpoena your information from VPN providers if you do something illegal on the internet. Having a VPN is not a free pass to whatever you want online without consequence. If your intent is to do something morally ambiguous or blatantly illegal, you may want to consider using a foreign VPN provider. It’s easier for a United States government agency to subpoena information from a US-based VPN provider. Compatible With Windows, Mac, iOS, Android? Note: Prices listed in this chart are subject to change. If you don’t have the budget to afford a paid VPN, there are some free alternatives. We don’t recommend using a free VPN service because their apps are full of ads and there’s a greater possibility that the VPN provider will gather your data and try to sell it. These free VPN services work, but you’re compromising your privacy — which was the whole point of setting up a VPN on your iPhone in the first place. 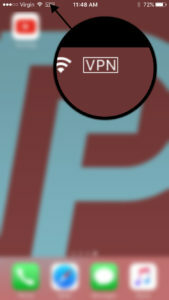 How Do I Set Up A VPN On iPhone? Once you’ve selected and signed up with an iPhone VPN provider, check to see if your provider has an app in the App Store. If they do, download the app and it will configure the VPN settings on your iPhone for you. Your iPhone VPN provider will give you the instructions you need when you sign up for their service. 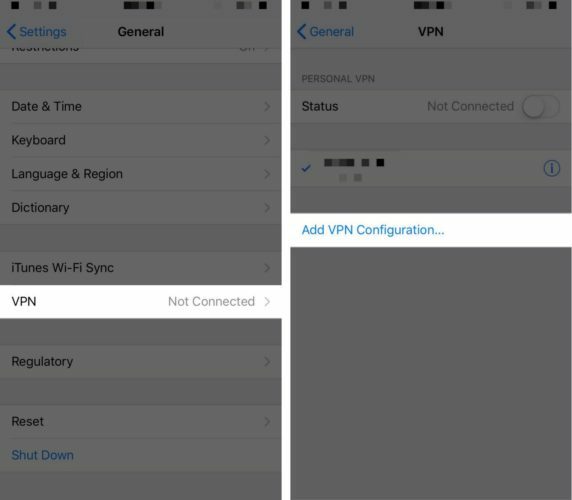 Once you complete the configuration, a VPN menu item will appear in the Settings app on your iPhone. Should I Always Use A VPN On My iPhone? 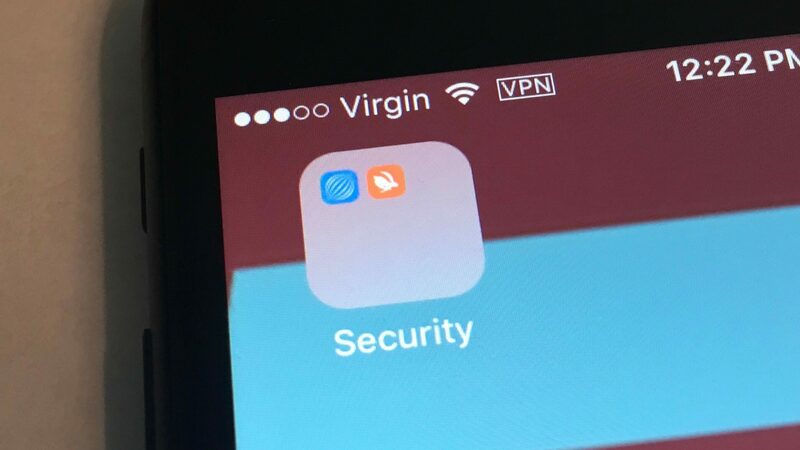 Typically, VPNs will slow down your iPhone because it has to connect to another network before connecting to the internet. So, when you’re using a VPN on your iPhone, it may be slower than you’re used to. If you’re trying to do something on your iPhone that uses a lot of data — such as streaming videos or downloading files — then it may be better to turn your iPhone VPN off. In fact, some VPNs will even limit your ability to stream videos because of the amount of bandwidth it takes up. The first thing to understand is this: When you connect to the internet, companies need to know exactly where you’re coming from. Just like the post office needs to know your street address to deliver mail, the websites, streaming video services, and everything else you use on the internet need to know your home IP address to send you data. The internet is made up of two-way communication — you send a request for data, and the internet sends it back, or vice versa. If Facebook didn’t know your IP address, you wouldn’t be able to download pictures or do anything else, because Facebook wouldn’t know where to send the data you requested. Your home connects to the internet using a modem (usually cable, fiber, or DSL), and when you’re at home, everything you do online uses that single connection to the internet. 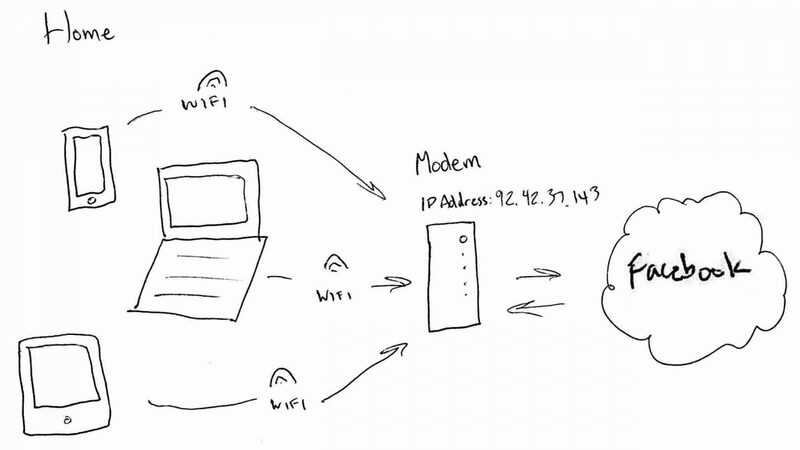 The modem gives your house a unique IP address, and your IP address is visible to the outside world. If you’re using Wi-Fi, you’re connected to a Wi-Fi network at home, but everything you do online still goes through that single modem on its way in and out of your house. 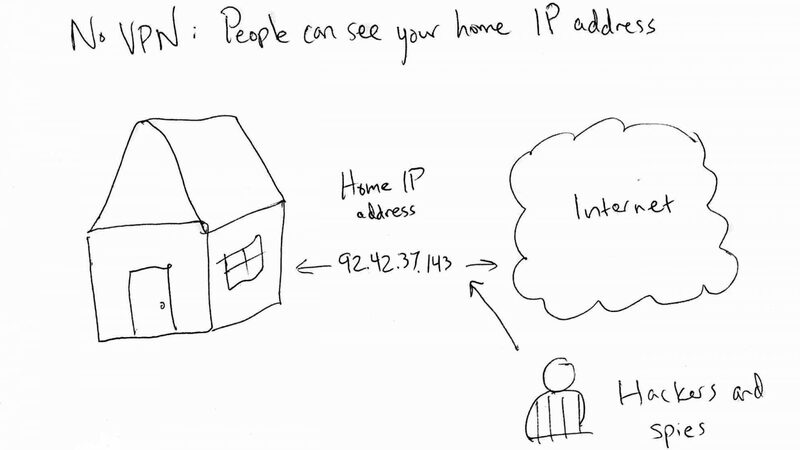 Your home IP address is the internet’s version of the street address of your house. So, when you’re looking at pictures on Facebook using Wi-Fi at home, your iPhone is connecting to the internet through your home’s internet connection and sending a request to Facebook for the picture. For Facebook to be able to send anything back, it has to know where to send it — in other words, your home IP address. In fact, companies need to know your home address or you wouldn’t be able to connect to their services. The downside to this is that it’s easy for hackers to see where you’re coming from too, and many websites keep detailed logs of exactly who comes to visit them. About this website: We don’t keep logs of any personal information, but, like every website on the internet, we keep track of anonymous user behavior on our website using Google Analytics. Some websites do a lot more than that. The important security and privacy issue is a result of this: Hackers and spies can see the last point of contact between your device and the public internet, because that’s the first place the data gets sent on its way back to your iPhone. When you use a VPN, your iPhone doesn’t connect to the internet through your home’s internet connection — it adds an additional step to the process. Everything stays the same except for one thing — instead of your home connecting directly to the internet, it connects first to your VPN provider and then to the internet, which makes the VPN provider act like a middleman. Now, when companies try to see where information is coming from, they don’t see your home IP address — they see the IP address of your VPN provider. Your VPN provider will know your home address, but if they’re a good company and trustworthy, they’ll do everything they can to protect that information from the outside world. That’s why it’s important to trust your VPN provider and only to use reputable services. If you’re still on the fence about using a VPN on your iPhone, there are free alternatives that will also help to keep you anonymous online. One alternative is Tor, a web browser that relays you through a random series of computers before you connect to the internet. 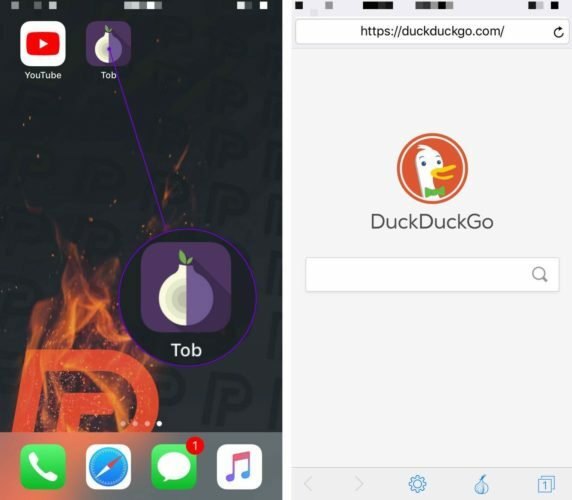 There are many Tor-powered browser apps available in the App Store, most of which are free. There are also some paid Tor browser apps such as Red Onion, which has a 4.5 star rating based on nearly 1,000 reviews. Tor was originally created by the United States government to help protect their overseas agents. Today, Tor is used by millions of people who just want to try and stay anonymous on the internet. Tor has become increasingly popular because it’s free to install on your Mac or iPhone and it’s fairly easy to use. 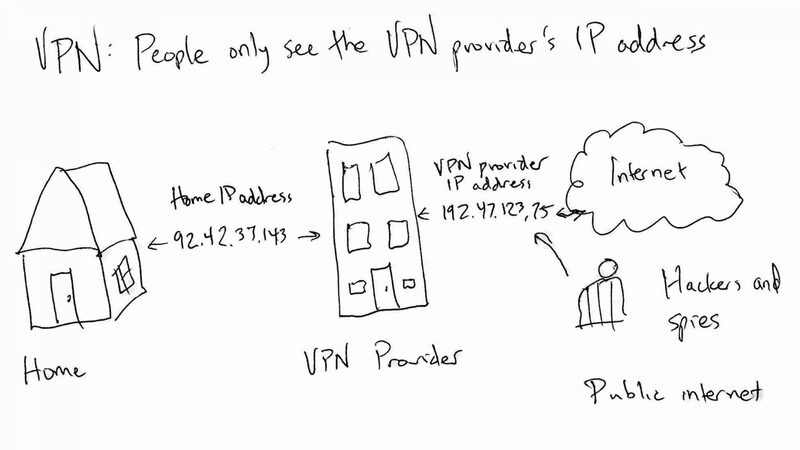 However, like iPhone VPNs, Tor is not perfect. Tor is incredibly slow and web pages can take a very long time to load. There’s also no way of knowing which computers you’re being relayed through and if they are connected to entities you can trust. For example, what if you’re relayed through the computer of someone who wants to sell or steal your information? That untrustworthy person now can see everything you’re doing online and could potentially take your information. Over time, the privacy Tor provides for you has lessened because smart hackers have been able to identify and take advantage of its flaws. With an iPhone VPN provider, you get faster online speeds from an entity you can trust, but you’ll have to pay for it. As our awareness of hackers, spies, and government agencies and their ability to monitor us increases, people are placing a higher and higher value on their own personal privacy. Although an iPhone VPN isn’t a perfect solution, it’s a great step in the right direction. I’d love to hear about your experiences using a VPN on an iPhone, so please leave a comment down below. Previous ArticleWhat Is A “Carrier Settings Update” On An iPhone? Here’s The Truth! Next Article Gboard Not Working On Your iPhone? Here’s The Real Fix!